Static electricity is IGNITING in the air and the sand is swirling around the harvester. Then they see it. A wide hole emerges from the sand, glistening spokes within it. The hole is twice the size of the harvester. Suddenly the machine turns and slides into the hole, parts of it EXPLODING. The SOUND is deafening. This is what Paul Atreides witnesses in his first ‘close encounter’ with a Sandworm, in David Lynch’s final script for the 1984 film adaptation of Dune. In the universe of Frank Herbert’s eponymous novel series, the Sandworms are the titanic inhabitants of the desert planet Arrakis. Their name among the Fremen is Shai-Hulud, a term actually derived from Arabic, and literally translatable as ‘eternal thing’. 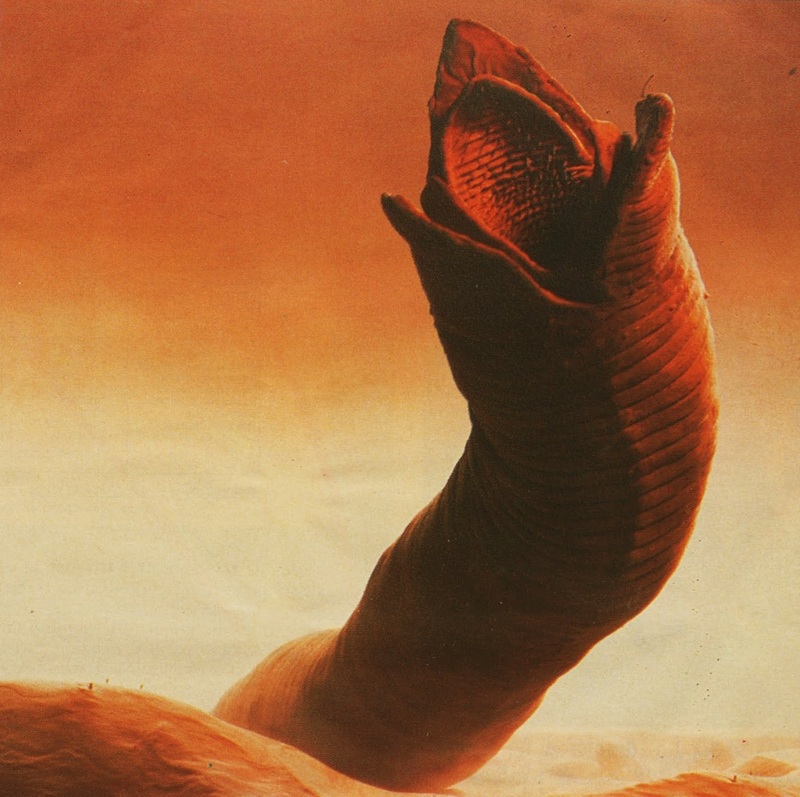 In the Fremen language, however, the term can have different meaning, depending on the size of the worm itself. ‘Old Man of the Desert’, ‘Grandfather of the Desert’ and ‘Old Father Eternity’ are among the known translations. The term also alludes to the Fremen belief that the Sandworms and their actions are embodiments of God.